Feast your eyes everyone! This could just be the Samsung Galaxy S III..
Posted on Reddit this morning, this image of the S III seems to be the most legit, with 16:9 screen ratio, Ice Cream Sandwich, metallic trim which looks very similar to the recently announced Galaxy Note 10.1.. It was also rumoured to be launched in 2 months time in London. The logo at the bottom right belongs to Weber Shandwick Worldwide, a large global PR firm. So maybe these guys are actually working with Samsung for the S III launch.. well nothing here is confirmed. 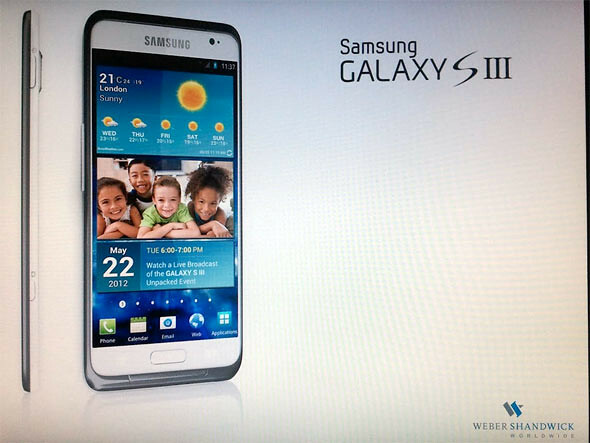 All we are saying is that the image above + the S III logo do look real. We’ve also included the original photo, unresized if you want to have a closer look. Enjoy! 2 Responses to "Samsung Galaxy S III Revealed! May 2012 Launch Rumored"
I thought ElMu had confirmed that this one is mock-up? 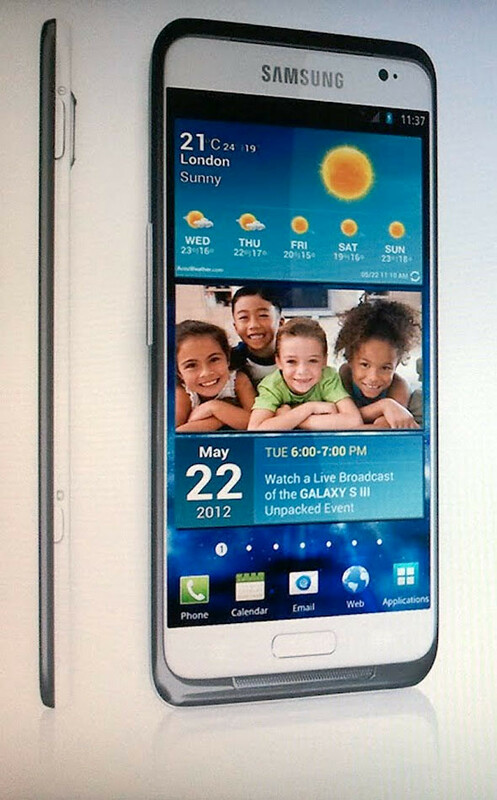 But the one who had this made was the one who had seen the SGS3 in real life..hmm?